Over 1400 individuals attended the Victorian Water Industry Operations Conference and Exhibition held by the Water Industry Operators Association’s (WIOA). This important water industry event was held in Bendigo and delegates from all states in Australia were represented at the event. A comprehensive exhibition with 194 trade sites saw companies exhibit the latest in equipment, services and process technologies available to the water, wastewater and liquid conveyancing industries. Acrodyne has exhibited in over 30 WIOA events across Australia over the last 10 years. With the Bendigo event attracting record numbers and with a prime location, Acrodyne’s site was extremely popular. Acrodyne showcased the Limitorque electric actuator, the ever popular ACROGEARS portable electric actuators and petrol actuators, ACROGEARS gearboxes and our numerous range of pneumatic products and accessories. 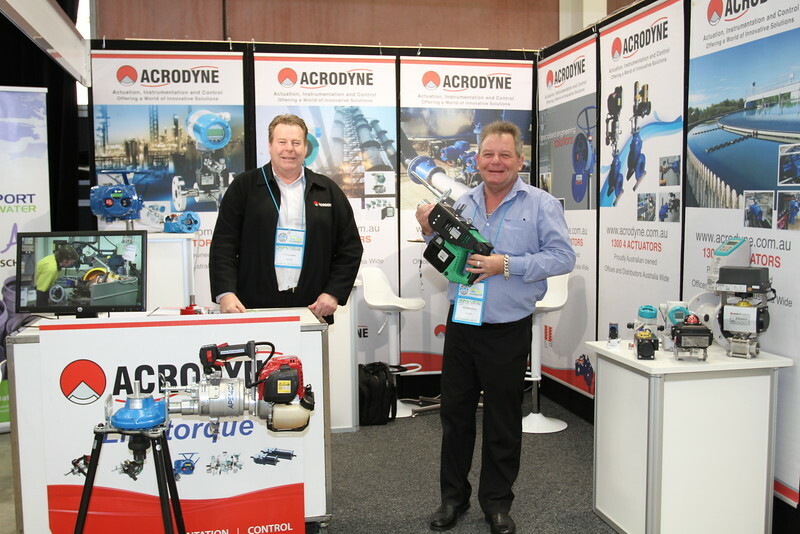 As an Authorised Siemens Solutions Partner nationally, Acrodyne was also proud to showcase the Siemens magflow meter, pressure transmitter and level transmitter. We hope to see you in NSW for the next WIOA event in 2017.